At some point you may be in the market for pearls. It’s a complicated topic, but it’s nice to know at least a little bit about what you’re purchasing. Think of this blog as a quick course to help you understand the lingo when you are shopping for pearls. Reading this will also help you understand the wide variation in pricing for pearls. Lesson 1: All the pearls you see in the store are cultured pearls, which means that they were made with man’s help. Since Mikimoto started growing pearls in the early 1900s, the industry has grown tremendously. Oysters or mussels are tended to by pearl farmers and, when they’re old enough, they get implanted with a piece(s) of tissue(usually from a mussel) or maybe a bead. If all goes well, the mollusk responds to this “irritant” by secreting nacre around it. With time and a lot “babying” on the part of the farmers, these mollusks will produce a pearl. Some mollusks can produce several pearls at one time. Lesson 2: Different types of mollusks produce different types of pearls. 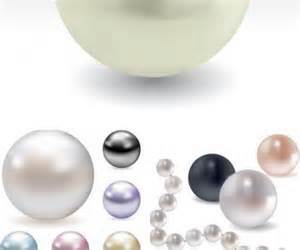 The four main types of pearls you’ll see for sale are Akoya, Tahitian, South Sea, and Freshwater. Of the four, Freshwater pearls are the most economical, partly because many pearls can be harvested from each mussel. Freshwater pearls come in all shapes, sizes, and colors. Akoya pearls are usually white or cream-colored. They’re known for great luster, and they are quite round. Tahitian pearls are gray to black in color, and they’re usually bigger than Akoyas. South Sea pearls can be bigger still, and they are silver or gold in color. Lesson 3: The shape of a pearl can vary due to many factors, some of them under man’s control. Shape can be described using many different terms. Sure, you’ll hear round, near-round, tear-drop, and button. Those are fairly self-explanatory. But what about BAROQUE? This just means that the pearl isn’t a traditional shape. It’s irregular. Many freshwater pearls fall into this category, because they are normally nucleated with just a small piece of tissue. EDISON pearls refer to freshwater pearls that have been nucleated with round beads rather than tissue. They can be quite big and round because of this. FIREBALL pearls are also bead-nucleated, but they have a “tail” because of the way the bead is placed into the mollusk. MABE, or BLISTER pearls are formed when a half-bead is attached to the inner side of the oyster. When the pearl is removed, a portion of the oyster’s lining is also taken. KESHI pearls are formed when the inserted nucleus is rejected by the oyster, but the nacre has started to gather. The result is a pearl that looks more like a single Kellogg’s cornflake. It is completely made of nacre. MOTHER OF PEARL is not really a pearl, but it’s made of the same stuff. It forms the lining of the mollusk, and can be cut out in thin layers to be used as inlay. Lesson 4: Just like diamonds have 4 Cs (Cut, color, clarity, and carat weight) that determine their value, pearls have qualities that you should know about. LUSTER is a combo of surface shine and a deeper glow. Really good luster allows you to see your own reflection on the pearl’s surface. 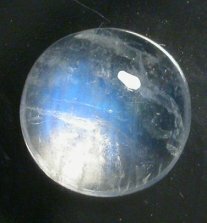 If the surface seems cloudy or milky, with more of a matte finish, luster is low. SHAPE, as we talked about in lesson 3, helps determine value. It’s rare to have a perfectly round pearl, but that’s usually the goal. SURFACE is important, too. Blemishes on the surface of the pearl detract from its value. SIZE influences value. Usually bigger is more valuable, because it takes the oyster longer to produce that size. You do have to keep the type of pearl in mind, however. A large Akoya would be a small Tahitian. COLOR is dependent on the type of pearl, too. But it’s important that the pearl have both a pleasing color and fairly uniform color. Finally, if you’re buying a strand of pearls, you need to think about how well they MATCH. Well-matched pearls in a necklace command top prices because it takes so many pearls to find ones that are similar enough to be strung together. Lesson 5: (optional) If you do plan to buy a strand of pearls, there are some terms you should know. 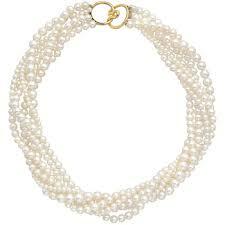 Most strands are made of pearls that are UNIFORM in size and shape. But you can also buy a GRADUATED strand. (No, that doesn’t mean it’s smarter.) 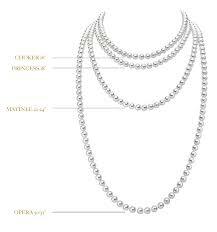 It means that the pearls graduate in size, from small near the clasp to large in the center. You can buy strands of different lengths. A PRINCESS length is 18 inches. A MATINEE is 20 – 24 inches. And an OPERA length is 30 – 36 inches long! Or you can buy multiple strands that are worn together as a single necklace. If the strands nest inside each other, you have a BIB. If the strands are twisted together like a braid, you have a TORSADE. As I said before, buying pearls can seem quite complicated. But they are worth it! And, hopefully, Pearls 101 can help you feel confident. 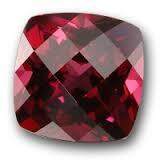 The romance and history of colored gemstones has always fascinated me. I guess I’m just a sucker for a good story. Here are three I thought you might like. TANZANITE: It’s said that we are all members of the “Tanzanite generation.” Discovered in 1967 by a Masai tribesman in Northern Tanzania, Tanzanite is mined in only one, 4 square kilometer, location. And the mines are getting deeper and harder to mine profitably. We will be the ones who can buy a new Tanzanite. Future generations will only see the stone in heirloom pieces. It’s estimated that Tanzanite One, the largest Tanzanite mining company, has less than 30 years of production left. The gemstone was named by Henry Platt, great-grandson of the famous Louis C. Tiffany. Tiffany and Co. realized the importance of the gemstone and quickly made themselves the main distributor. 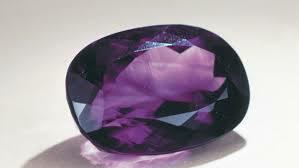 Their marketing efforts made tanzanite one of the most popular gemstones by the 1990s. The beautiful gem hit the big screen with a “splash” as the Heart of the Ocean in the movie, Titanic. 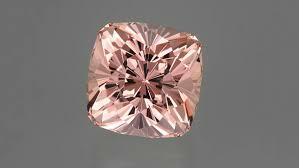 MORGANITE: This pink to orange/pink variety of beryl was originally discovered in Pala, California in the early 1900s. It was named for J.P. Morgan, a great financier and collector of minerals. Tiffany’s gem buyer and gemologist, George Kunz, was the man who named the gem, buying up all he could find for his wealthy client. 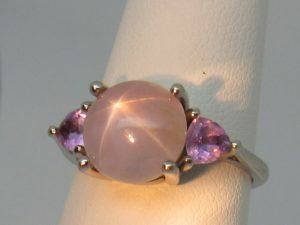 Incidentally, another pink gemstone, discovered at about the same time, was named Kunzite in honor of George Kunz. So, he got his own gemstone, too! Morganite is the same species of mineral as Emerald and Aquamarine. 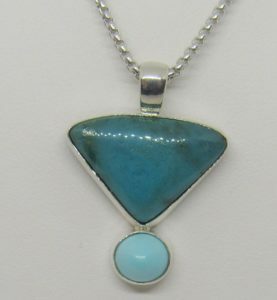 Like Aquamarine, it is usually an eye-clean stone that can be cut in larger sizes. 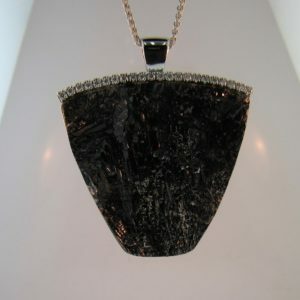 It’s a good thing, too, because a larger stone usually shows a more saturated color. Pale Morganite often needs that advantage. 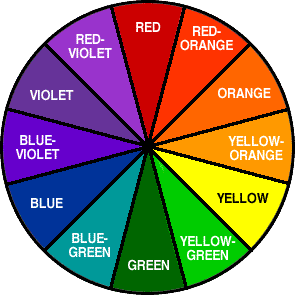 It’s generally heat-treated to improve its pink color and minimize its yellowish tint. The treatment is stable, so no fading occurs. ALEXANDRITE: First discovered in Russia’s Ural Mountains in the early 1830s, Alexandrite is the quintessential color-change gemstone. It was found by miners who thought they’d found emeralds, until nighttime came and they were sitting around the campfire. Alexandrite’s trace elements of iron, titanium, and chromium make it greenish in sunlight and reddish in incandescent or fire light. 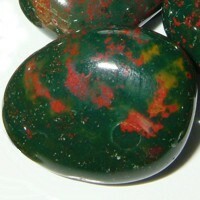 Boy, were those miners surprised when, the next morning, their red gemstones had turned back to green! Legend says that the gem was found on the 16th birthday of young Alexander II, future Czar of Russia. The stone became the National Gem of Czarist Russia. It was the perfect fit with the red and green color scheme of imperial Russia’s military. Every Russian had to have an Alexandrite. Unfortunately, for all of us, the Russian supply was depleted. Fortunately, other deposits have been found in Sri Lanka, East Africa, and Brazil.